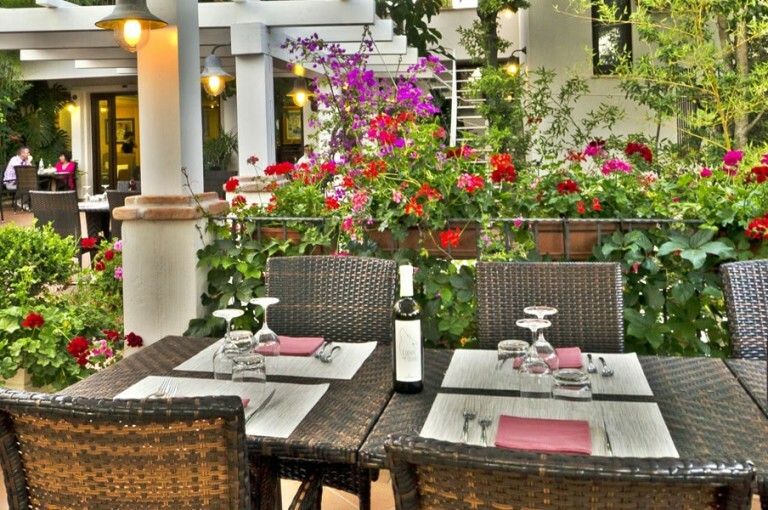 On the open-air terrace surrounded by green you can taste the fresh and exquisite flavours of our dishes. Our rich menu accurately chosen to give you the best match of local products and Mediterranean cuisine will accompany your holiday in Sardinia. The restaurant’s attentive service and warm surroundings create a relaxed and friendly atmosphere. A leisurely breakfast is served in the outside shaded porch. With a cup of coffee, a cake, a juice or a yogurt tasting sweets and savouries delicacies from our rich buffet, you will start your days in Sardinia on the right foot! In the refined restaurant a rich salad and antipasti buffet awaits you as the beginning of an evening dinner which continues with dishes of typical Sardinian cuisine. Our Chef chooses only the best ingredients to prepare his tasty and delicious dishes. We prefer seasonal, local and homemade ingredients to create simply and wholesome dishes. We always offer a vegetarian or vegan choice. Our Wine Cellar proposes a selection of the best Sardinian wines, with special attention paid to local wines, chosen with the passion and the quality we always strive to. 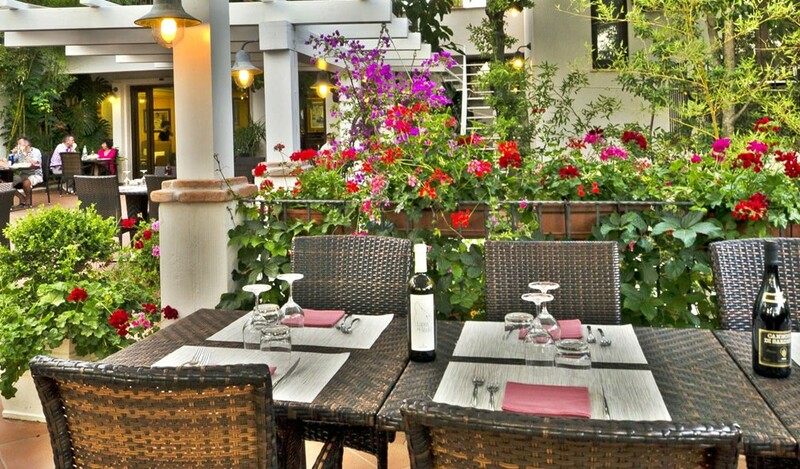 On the open-air terrace deep in the green you can enjoy the peace and quiet with a glass of good wine. What kind of food does the restaurant serve? Our Chef chooses only the best ingredients to prepare his tasty and delicious dishes. We prefer seasonal, local and homemade ingredients to create simply and wholesome dishes. We always offer a vegetarian or vegan choice. I have a dietary requirement, can you cater for me? We cater for different food allergies or dietary requirement. Please be aware to inform us before your arrival and be sure to indicate what special dietary needs you have. It’s also possible to prepare a different menu for your children. Is the restaurant open to outsiders? The restaurant can accommodate 80 people and welcomes outsiders.